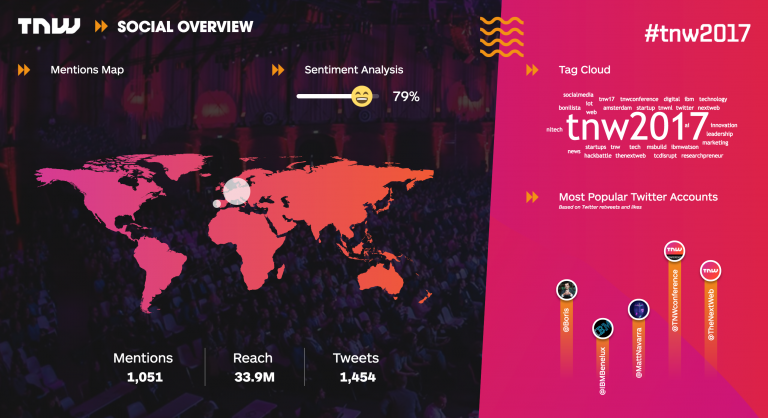 The Next Web Conference, Europe’s leading tech festival, is preparing to set the bar even higher this year after winning the award for Best European Business Conference in 2016. 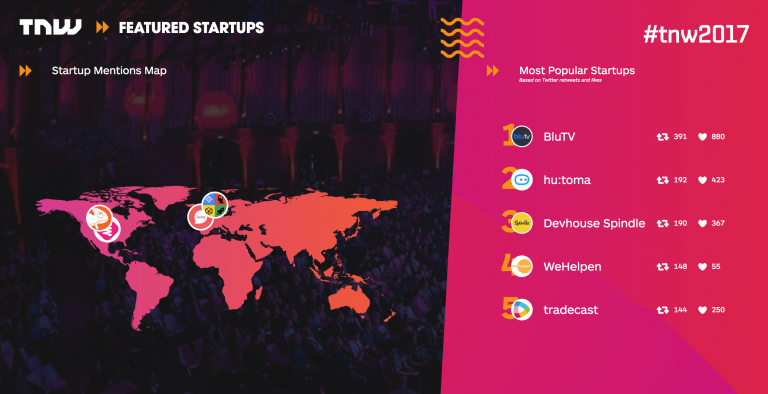 From the 18th to the 19th of May, over 15,000 attendees, including executives, top-tier investors and promising startups, will congregate in Amsterdam to share thoughts on the future of technology. 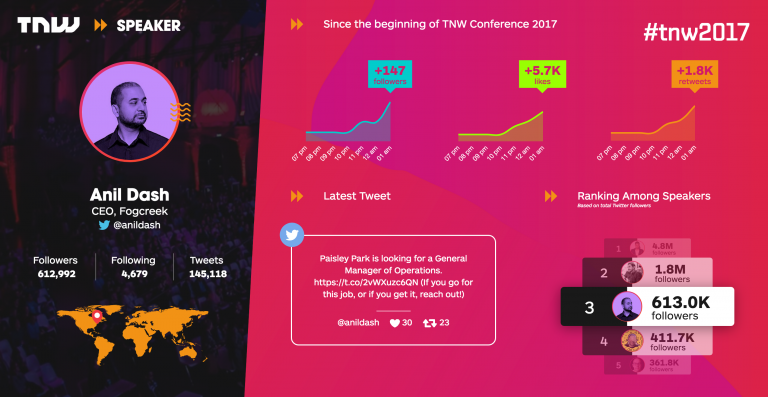 With speakers from Trello, Airbnb, HubSpot, Snapchat and Booking arriving from all around the world, TNW Conference 2017 is set to present another powerful forward-thinking event. 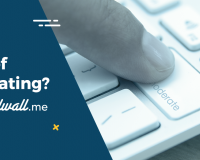 Matt Navarra, TNW’s Social Media Director and expert, sets to expand the conference’s vital social media presence, partnering with innovative tech startups such as SocialWall.me. 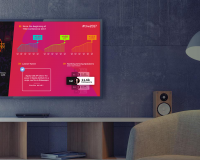 Check out our custom TNW Speaker Template here. 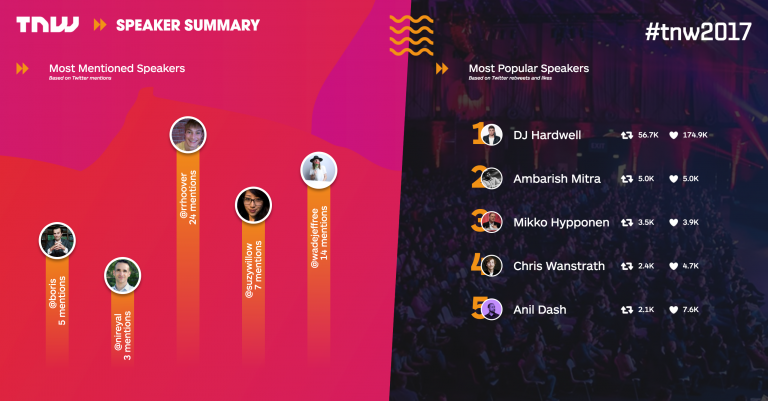 Check out our custom TNW Speakers Summary Template here. 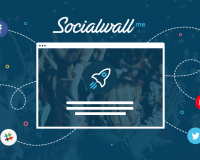 Check out our custom TNW Social Media Overview Template here. Check out our custom TNW Featured Startups Template here. Contact us to use our Data Visualization tools for your companies or ask for a free demo here.